Silicon Valley’s attention has been captured by a trial between Waymo and Uber over self-driving cars. 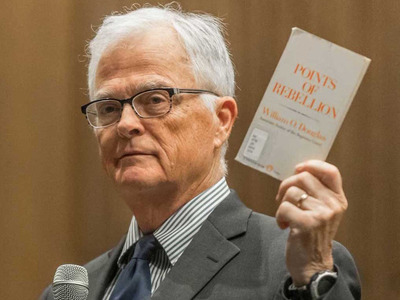 Judge Alsup, who rules over many of the biggest Silicon Valley cases, is presiding. Alsup wings so many zingers at the antics of big tech companies, and their lawyers, that he has his own Twitter parody account. Here’s the blistering criticism, and other comments from this trial that people are buzzing about. When Silicon Valley companies sue each other, they bring all their hubris to the courtroom. Unfortunately for Uber and Waymo, the two tech giants squaring off in a high-stakes legal battle this week, the courtroom they’re in belongs to Judge William Alsup. The federal judge is no stranger to tech industry hyperbole and theatrics. And his famously short temper and sharp tongue is already adding an entertaining twist to the trial, in which Google self-driving car spinoff Waymo is suing Uber for alleged trade secrets theft. Alsup, who taught himself to code when he presided over a previous high-profile lawsuit between Google and Oracle a few year ago, delivered a string of blistering criticisms to the parties before him this week, bristling at the legal manoeuvring and shenanigans he witnessed. On Monday, Day 1 of the trial, one famous tech person on the witness list had apparently requested special treatment while waiting to be called to the stand: a private room. And he was equally displeased by the sight of all the legal firepower the two companies brought along – there were so many lawyers that the public couldn’t get into the courtroom. Reporters were sitting in an overflow room, watching the trial on a 42-inch TV, reports Buzzfeed’s Ryan Mac. Alsup remarked, “It’s unconscionable that the law firms would take up this much space,” he said to both legal teams. 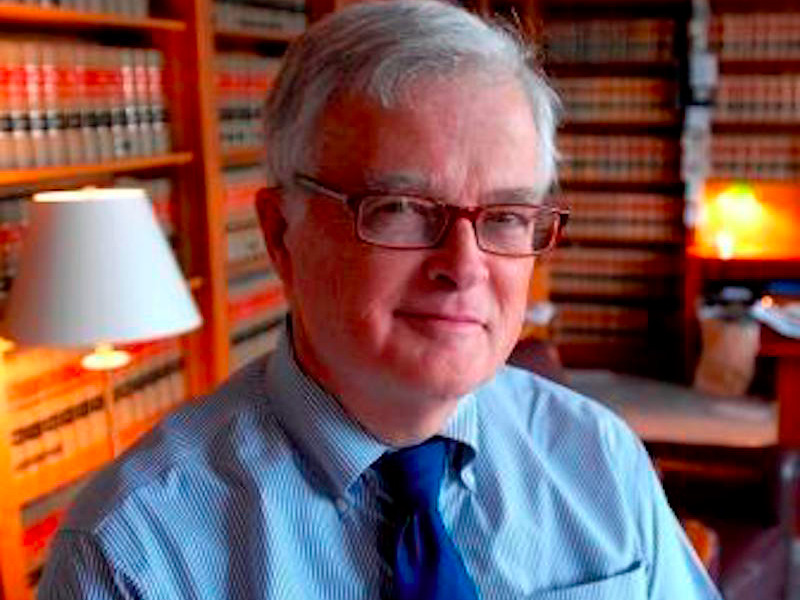 On Tuesday, the next day, the name of the account has been changed to “Judge Alsup (parody, you idiots)” The parody account is tweeting fictitious Alsup-like snark. For instance, after the court warns reporters that all cameras are forbidden, the parody account tweets,“If someone walks in with Snapchat goggles I’m holding them and @evanspiegel in contempt.” If you enjoy legally-tinged, Valley-insider humour, the parody account is full of gems. On Tuesday, the real Judge Alsup, naturally, had more of his own gems. He began the day unhappy with all the court filings this room full of lawyers sent to him overnight, filled with too many redactions. “I must have wasted half my time going through pages that had nothing for me to rule on,” he said. That theme: the amount of information that each wants to keep secret, has really stuck in his craw. This trial was delayed a couple of times over foot-dragging in turning over documents and evidence. Uber, in particular, was admonished by Alsup over that. And Waymo has forced Uber to produce some shocking stuff, including a bombshell letter from a former employee that alleged Uber engaged in all kinds of spying tactics and demanded more than a million dollars. On Tuesday, Waymo was the subject of his ire. Alsup blasted Waymo for requesting to seal the testimony off from the public. A portion of Monday’s testimony was sealed and he told the press that only 2/3 of it actually deserved to be sealed. Apparently Waymo played a bunch of promotion videos about lidar, the laser technology used by self-driving cars. Alsup railed to Waymo: “You are leading the jury with the impression that you invented lidar, that you invented self-driving cars. … You did not invent lidar. Next time we exclude public, we will only talk about these 8 secrets and 8 secrets only.” He’s referring to the 8 trade secrets that Waymo alleges Uber stole and agreeing to let them keep them under seal. As this trial continues, there will no doubt be more Alsup zingers that will set twitter abuzz and we’ll update this story with them, so please check back.